Jacob Bright, the fourth son in the family of eleven children of Jacob Bright (1775–1851) and his wife, Martha Wood Bright, was born in Rochdale on 26th May 1821. 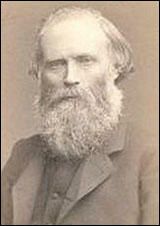 John Bright was his elder brother, and Priscilla Bright was his elder sister. Jacob Bright died on 7th November 1899 at his home, Nunn's Acre, Goring-on-Thames, Oxfordshire. 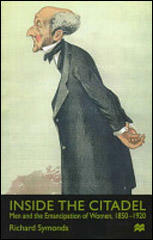 Jacob Bright, returned at a by-election, again took charge of the Married Property Act in 1877... The Bill was talked out amid the uproar of its opponents, who drowned the voice of Leonard Courtney, speaking in its support. In 1878 the Bill was again defeated... When Gladstone returned to power in 1880, Jacob Bright had been obliged by ill-health to surrender the bill. Professor G. M. Trevelyan in contrasting the two brothers has pointed out that Jacob Bright had all his brother's fearless and unyielding temper, together with a greater measure of intellectual daring and suppleness. Speaking with all the authority of Member of Parliament for the potent City of Manchester he seemed to bring to these discussions on the franchise something of the thrust and foresight which had brought riches to the area of England which he represented. In 1870, before the country propaganda had been much developed, a second opportunity had arisen to test the feeling in Parliament, and the upshot of that testing was the downfall of all their hopes of immediate success. Mr Jacob Bright secured a day for the introduction of a Suffrage Bill, and Dr Pankhurst drafted it with care, and after a serious and dignified debate on 4th May its second reading was, carried by 124 to 91. But matters ended there. In the committee stage Mr Gladstone brought out his determined opposition, and the majority melted away. "It would be a very great mistake to carry this Bill into law," he said, and though he gave no reasons the whole tone of the House changed forthwith, and when the second vote was taken the hostile majority was 106. So ended the early hopes of parliamentary success. The women realised at last the feebleness of the individual support they had won, and the extent of the opposition they had to overcome.